Every woman loves flowers and gifts. 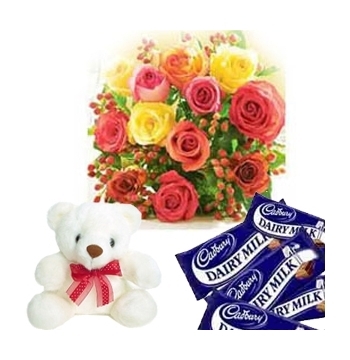 The fresh-looking beautiful flowers with gifts add joy to her day and make you feel complete. Our mothers do a lot for us and the least we can do is to surprise them on with this unique mother’s day combo gift. Send mother's day combo gifts to manila in the Philippines. We have fresh flowers, exclusive and unique gifts to be deliver to manila in the philippines. Mother's Day combo gifts send to manila in the Philippines. We are the largest online Flower and Gifts Shop in Manila Philippines. Manilaflorist.ph offers best and unique gifts deliver yo the manila in the Philippines.